Respected sir,I want to join in territorial army.My aim is to serve the nation.I am a head master .I have a great desire to join in territorial army.My address is given bellow. Re: How to join in Territorial Army ? Indian Army trains eligible candidates for Territorial Army. For this training, Indian Army publishes advertisement from time to time. apply for TA in the coming years. The year the application process has been over already. The advertisement for TA is published on Indian Army website and in Employment News weekly. To Joint the Territorial Army the candidate should have Indian nationality and their age must be between 18-42 yrs and should have Graduate from any recognize university. This year published the vacancy in the month of June and waits the some month to release the next Notification. Notification published in the Employment News Paper and also can be downloaded for the website from www. indianarmy.nic.in. 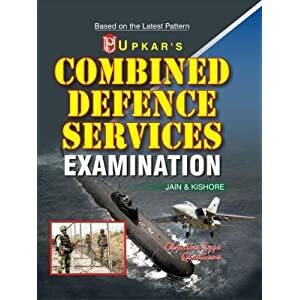 First you clear the Screening test then you qualified the Service selection and Medical..
As per your question , you need to have certain eligibility criteria that is needed in order to get selected into Territorial Army . Following are the eligibility that you should posses . Only male citizenzs of India and Ex-Service Officers are eligible who are medically fit. Age : must be between 18-42 yrs as on 30 Jun 2012. Educational Qualification : Graduate from any recognize university. a) commission is granted in the rank of Lieutenant. b) Pay and allowances and privileges will be same as regular army officer when embodied for training and military service. c) Promotion up to Lt. col. By time scale subject to fulfilling laid down criteria. Promotion to colonel and brigadier by selection. d) officer commissioned in TA infantry may be called out for military service for longer duration depending on requirement. 1)One month basic training in the first year of Commision. 2)Two months annual training camp every year including the first year. 3)Three months post commission training within first two years at IMA Dehradun. After getting the application form either from Employment News or it can be downloaded for the website from[U] www. indianarmy.nic.in[/U] and send it along with a self addressed stamped affixed RS. 12 on it.Two passport size photographs along with application form to the respective TA Group HQ. as per their area. please visit the given official web for getting more information about above announcement . 1. Only male citizens & Ex-service officers of India Who are medically fit can join the same. 2. The age must be between 18-42 yrs as on 30 Jun 2012. 3. The candidate must be a Graduate from any recognize university. After getting the application form either from Employment News or it can be downloaded from the website and send it along with a self addressed stamped affixed RS. 12 on it.Two passport size photographs along with application form to the respective TA Group HQ. as per their area. 2. Service selection and Medical. Many of us are willing to serve country as a part of Territorial Army. Since, Notification and application form are published and the PIB or written exam is on 10/02/2013. I have visited sites to find out about it and surprised to know that everyone is confused about written test and maximum query is regarding written exam pattern. I am pleased to say that I have question paper of the Territorial Army written exam held on 05 August 2012. I have published it on my blog. Anyone can see the question paper there. Total no. of pages are thirteen (13). Hope it will help those people who are desperately willing to join. i have one doubt abt TA recruitmnt....dat is..i m student of M.B.A...nd i want to knw dat m i eligible for TA or nt?? ?plzz give ur suggestion abt dat as soon as possible!! i m doing my m.sc ,so will i m elgible to join ta????????? as an officer in Territorial army will i get salary only when on training ??? As per the advertisement it is written that you can do the duty without sacrificing your previous job. I want to know that this job of terretorial army is permanent or not. And if i want to do the job as full time/permanent what will be the criteria? what is the medium of exam and communication language ? I have done My graduation from UGC Recognized University, Age - 32. please let me know wether it is eligible for TA or not. I have done my Graduation Diploma in Computer Application for UGC Recognized University. Is that i am Eligible for TA. I am 49 years, based out of bangalore, can I join territorial army? You can join Indian Territorial Army if you are a doing job and want to serve the nation while doing your job. You must be a Graduate in any discipline from a recognised University. The should be between 18 to 42 years. You can apply for the above when the notification are announced through a prescribed application format and send it to the required address with all the documents. After shortlisting of your application you will be called for the Written examination. There will be SSB Interview and medical examination also before you join the training. You can also download the official notification from the attachment. Kindly let me know when is the next enterance test for territorial army for jawans? I am doing my PGDM. Can i also apply for Territorial army? Is it necessary that one should be working to join the Territorial Army? sir, could you please provide me the pattern of question? I am an MBA graduate and also an employee of a private organisation. The company authority not willing to give CERTIFICATE TO BE RENDERED BY CANDIDATES EMPLOYED IN PRIVATE SECTOR for applying For TA. what i suppose to do ? im sathya B.tech graduate and working as a bio-medical engineer in a hospital in chennai. what can i do to apply for TA officer in army. i need details of salary, whether salary will giving every month or only training period? I am serving Indian Air force as corporal. I want to perform my duty as an officer. territorial army is a good option but I am confused about its pay n allowances. 1. if I will join TA as an officer, will it be part time or full time? 2. if I will join TA as an officer, will I get same pay and allowances as a regular army officer through out my service(12 months in a year)? 3. should I apply as a civilian or central government employee? i am a BA(Pass core)graduate and also an employee of LIC(agent),age:27,am i eligible for TA. 1. I'm having spectacles(eye sight -2.5). Am I eligible for TA? 2. Shall we get salary every month? where is the oppotunities for women in territorial army ????????? Hey sir i am graduate and i am noy wirking anywhere so am i eligible for TA?